Founded by French Jesuits in 1639, Sainte-Marie Among the Hurons was the first European settlement in what is now Ontario. The small village of stone and timber buildings was abandoned and burned in 1649, but was reconstructed some three centuries later by the Government of Canada as a National Historic Site. 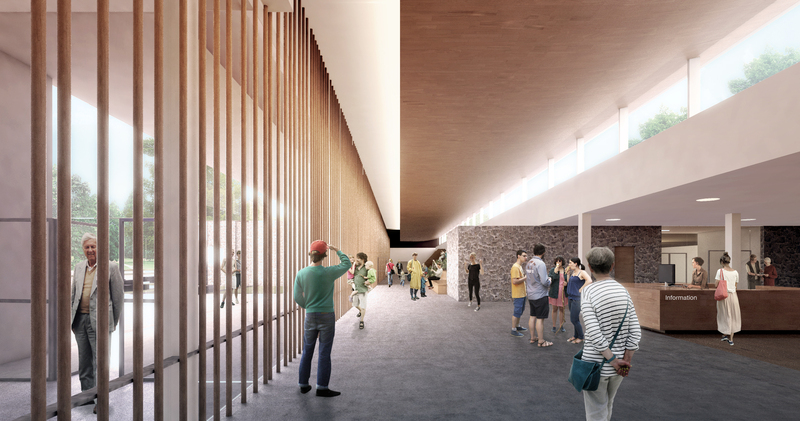 The gateway to the site is an existing 40,000 SF visitor centre. 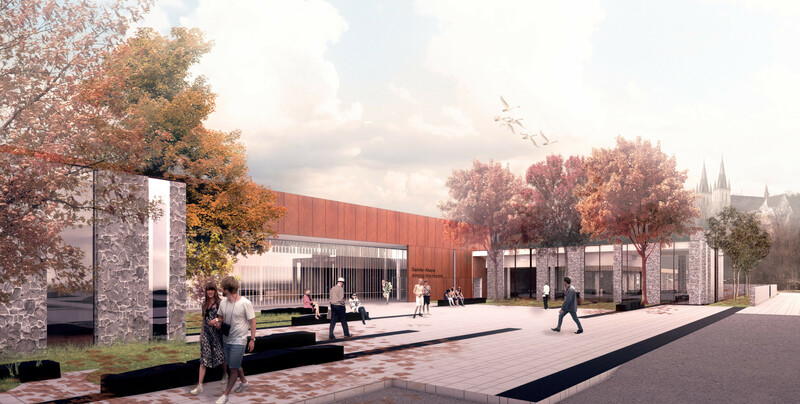 As part of a program to enrich the visitor experience and improve amenities, we assessed the aging building’s physical and functional condition and, by applying various funding and phasing scenarios, developed options for its renovation and expansion or complete replacement. Assessment factors included the mechanical and electrical systems, structural system, building envelope, hazardous materials, accessibility, sustainability and the ability to accommodate the required functional program areas, adjacencies and internal and external circulation. Based upon this assessment, our conceptual design mixes new and old to enlarge the visitor centre by 50%. 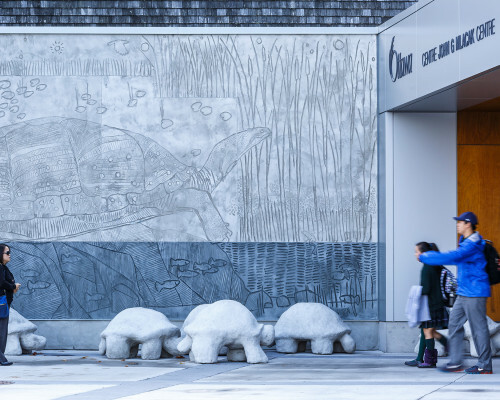 Features include a multi-media First Nations gallery, a temporary exhibit gallery, a multi-use presentation hall and enhanced visitor services. Natural stone and native woods anchor the building to its site and historical context. 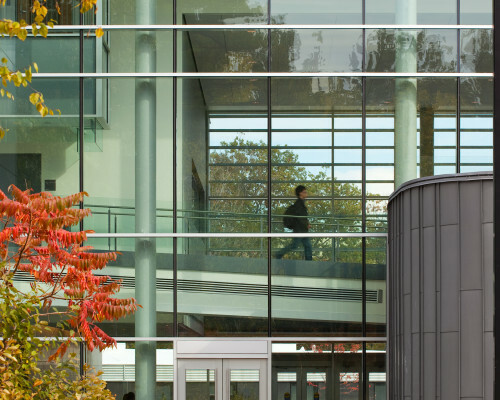 A wall of floor-to-ceiling glass at the main entrance welcomes visitors, and high-level clerestory windows wash the interiors with glare-free natural light.